Most organizations have migrated to the cloud. Key components in migrating to the cloud are operational costs, the ability to match supply and demand, finding a pathway to optionality, employing an elastic cost base and transparency and some organizations may overlook challenges that may arise during a cloud migration. Cloud computing is changing the way companies view IT and how IT will be viewed at companies. Over 50% of cloud migrations exceed budget. Our team will help your company stay within budget by creating a cloud migration plan, developing applications hosted in the cloud and ensuring that your organization’s needs are met by using Azure. Microsoft Azure allows organizations to migrate to a cloud based architecture. 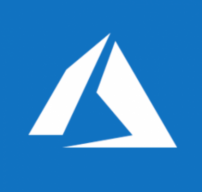 Azure is a cloud platform for building, deploying, managing application and services from anywhere. Azure lets an organization add cloud capabilities to an existing network through its platform as a service (PaaS) model or as an Infrastructure as a Service (IaaS). Both options provide secure access to an organization’s cloud hosted data. Azure provides an array of products and services designed to meet the need of an organization through one convenient, easy to manage platform. Microsoft has designed it’s compliance framework to meet regulatory requirements. Azure benefits hosting providers, ISVs, systems integrators and custom software developers. Custom software developers can create software solutions for customers who can’t afford the costs of in-house development, including hardware costs and they can deliver applications to customers as services without building and maintaining data center. Develops Applications: Service offerings such as Visual Studio Team Services and data storage allow organizations to develop and test apps quickly. Microsoft has over 100 Azure services and is continually developing and adding more, enabling businesses to deliver services and build a virtual network. There are many options for services that companies to it. Cloud computing security is a fast-growing service that provides many of the same functionalities as traditional IT security. This includes protecting critical information from theft, data leakage and deletion. Security is one of the biggest concerns for companies considering a migration to the cloud, Microsoft designed Azure with security in mind. The .NET Access Control Service provides a way to integrate identities and Security Assertion Markup Language (SAML) tokens are used by applications to determine whether a user is allowed access. One of the benefits of cloud services is that an organization can operate at scale and still remain secure. It is similar to how a company currently manages security, but now there are new ways of delivering security solutions that address new areas of concern. Cloud security does not change the approach on how to manage security from preventing to detective and corrective actions. It does provide a company with the ability to perform these activities in a more agile manner. It also allows an organization to have their security in the cloud. Azure has the highest standard of security and customers don’t have to manage a facility. The Azure infrastructure was created to ensure that data is safeguarded. Azure provides different hosting models for running applications. Each provides a different set of services. Customers can choose from app service, cloud services and virtual machines. Building applications this way makes them easier to scale and more resistant to failure. Azure cloud services has support for JAVA, NODE.js, PHP, Python, .NET and Ruby. It also has application patching. Azure cloud services deploy an organization’s application and test applications before deploying them. VALiNTRY is a Microsoft Partner, an organization earns this with experience in technology and it allows us to give clients discounts on technology for their organization. VALiNTRY will create a proof of concept (POC) to understand challenges an organization may face when migrating to Azure. According to a study by the Cloud Alliance, 33% of organizations have a “full steam ahead” attitude toward cloud services and 86% of companies spend at least part of their IT budget on cloud services. Whether your organization would like to use IaaS or PaaS,the predictions are that fast growth of the workloads placed in the cloud and an increased percentage of the total IT budget going toward cloud computing. Azure provides businesses with flexibility with it easily integrates with an organization’s existing IT environment through the largest network of secure private connections, hybrid database and storage solutions and data residency and encryption features. Azure has over 120,000 customer subscruptions per month and over 60 complaince offerings, the largest portfolio. VALiNTRY understands that this fast-growing global footprint provides plenty of options for running applications and ensuring optimal performance.